Beacon Business Park comprises approximately 222,000 ft² of warehouse and distribution space in seven principle buildings plus ancillary accommodation. This former RAF site extends to appoximately 8.83 hectares (21.82 acres) and is contained within a fenced and secure area. A schedule of current availabilty and quoting terms can be obtained from the sole agent. Location: Beacon Business Park is well located benefitting from easy access to Junction 13 and 14 M6. 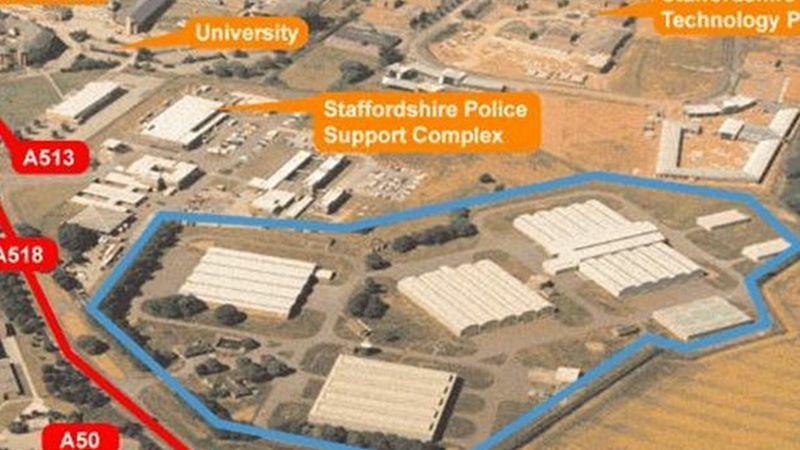 The site is also within easy reach of T8 M6 Toll and fronts the A518 Weston Road, which links to Stafford Town Centre approximately 2 miles west.